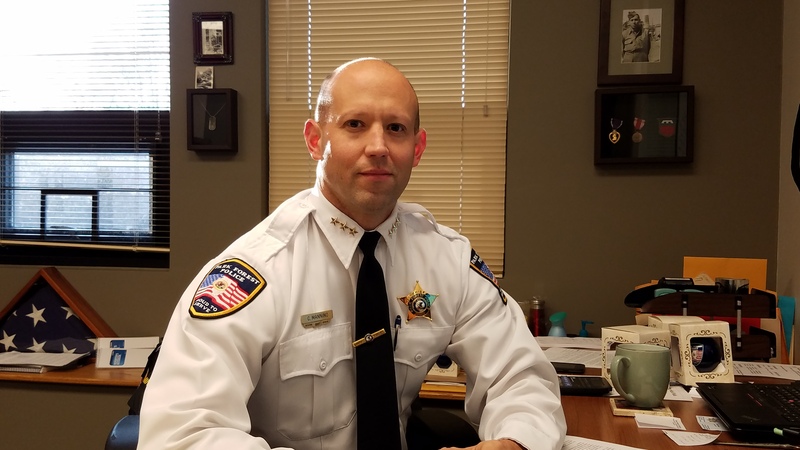 Park Forest, IL-(ENEWSPF)- Park Forest Police Chief Christopher Mannino sat down with eNews Park Forest and reflected on the challenges the department faces including restorative justice, youth, and the need of officers often serving as primary responders in situations involving mental health crises. Additionally, he shared strategies the department is working on regarding juveniles, stopping the so-called “school-to-prison pipeline,” and his commitment to restorative justice. The Chief also shared his pride in the members of the Police Department, as well as one officer in particular, Tim Jones, who continues to defy odds, still recovering with a goal of returning to work at the PFPD. Sworn in on October 23 of this year, we spoke at the end of November. 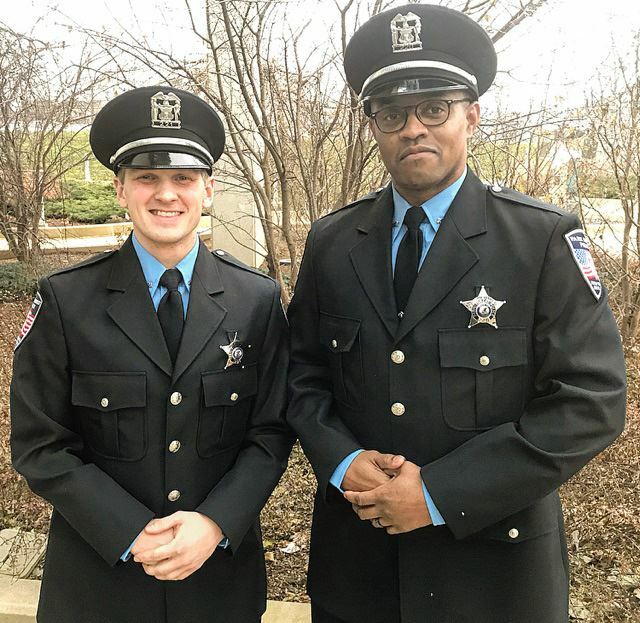 Police Chief Christopher Mannino has taken well to wearing the “big hat” of leadership with the Park Forest Police Department. The big takeaway from this interview? The depth with which this man discusses a broad spectrum of issues. 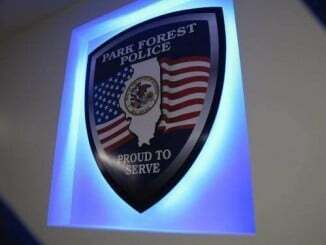 eNews Park Forest: What’s different for you as Chief of Police? Police Chief Mannino: A lot of responsibility being the head of the organization. So, obviously, a significant role change. Duty changes may not be as significant, but certainly responsibilities are much greater. One major change is that so many people want to talk to you when you have one additional star in your collar. So, I’m in many more meetings than I was before. As deputy chief of field operations, my main concern was the patrol division and investigations division. And now, my concerns are an entire police department, and its relationship with a host of other groups and organizations. So, it’s just a bit of a different perspective change. eNews Park Forest: The old question that keeps coming back, there’s so much more crime, but we’re not really seeing that, are we? Or how would you describe? Police Chief Mannino: Well, I would want to look at the end of year data to make any statements on changes on the amount of crime. I would say that certainly that the nature of our calls has seemed to have changed over the past couple of years, there seems to be more significant incidences we’re dealing, more mental [health] issues that we’re dealing with. So, maybe the nature of the calls has certainly changed somewhat over the years. eNews Park Forest: So, are we seeing an impact because of the like of mental health facilities in the area? Police Chief Mannino: Absolutely, absolutely. eNews Park Forest: So, like Sheriff Tom Dart, you’re becoming a first line of care in some mental health cases. Police Chief Mannino: That’s absolutely true. We see a significant increase in the amount of calls or service involving somebody in a mental health crisis. So, that’s certainly something we’re seeing here in Park Forest. eNews Park Forest: Are there any certain avenues for that, or is it just emergency room? Police Chief Mannino: Well, the immediate response is conducting an evaluation, and emergency room. As I think you know, we made great strides to having our personal training crisis intervention. Our goal is to have the entire department trained in the 40-hour crisis intervention team training. We currently have 100% of our employees trained in the eight-hour mental health first aid. So, we’re trying to take as many steps as we can to deal with the crisis. But at the end of the day, the police department becomes involved when somebody’s already in crisis. And what is really needed in our communities is the preventative treatment to prevent someone from ever getting to that point. And that’s where we’re seeing the lack of those services really affecting our call volume. eNews Park Forest: So, it’s not so much that people don’t have ability, but it’s proximity. I mean ability to pay, or something like that. Police Chief Mannino: I think there’s probably a variety of factors. Some of it may be a lack of services, and overflow of demand versus what’s available. I think it’s probably quite a few different factors. eNews Park Forest: Another question I see in the law enforcement bigger picture is the school-to-prison pipeline. 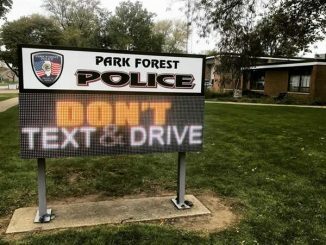 What are we doing different in Park Forest? Police Chief Mannino: So, quite a few things I would say. The first I could talk about is that we revamped our – well, let me back up. We believe strongly in diverting offenders or youth from the traditional criminal justice system to our local system. Now, we need to revamp that, because what it used to involve was the juveniles as a restorative justice program would partake in tasks like picking up trash in Western Avenue, or fitting fire hydrants in a neighborhood. And what we’ve done is we’ve partnered with the Urban Youth Trauma Center out of University of Chicago. And they now provide a full week trauma awareness program, where these juveniles are mentored, and they’re provided information on how exposure to violence is impacting their decision making, and give them ways to make their decisions. So, that’s one way that we’re trying to address the issue raised. Really, it does in two ways. One, by diverting them from the criminal justice system, and two, providing them with some resources. On top of that, that relationship with the Urban Youth Trauma Center has developed such that we receive a grant, a $20,000 grant, where we’re going to be able to start a youth management program. What’s even more exciting though is that the Village of Park Forest is going to be hosting in early 2018, a summit for youth services providers. We’re going to try to bring together every youth service provider in Park Forest. Whether it’s religious-based, schools, village government based, Aunt Martha’s, any type of organization that provides services to youth, it brings us all together on a one roof at one time for one day, and discuss what we’re doing. And identify any gaps that may exist, or any overlaps that we could eliminate. And really make sure that we’re all working together comprehensively to address this issue. I guess what our caution at the end of the day is that the issue that we’re facing with youth goes far beyond Park Forest. And so, we’re going to work hard to offer the services to Park Forest youth, or really facing a regional problem that’s really impacting us, because we’re finding that many of our offenders aren’t from Park Forest. And sometimes our youth may offend in another community. So, it really has as broad reach, and it’s difficult to address the broader picture, or very hard to be addressing what’s taking place here in Park Forest. eNews Park Forest: The perception sometimes is that we have a lot of youth issues, but again, it seems like Rich East is doing a really incredible job themselves. I’m not seeing as many issues coming through reports in that respect. Police Chief Mannino: Right. We’re not seeing as many reports out of Rich East either. eNews Park Forest: And that’s very positive. What are some of your long-term goals for the department? Everybody kind of – well, as a new person in charge. Police Chief Mannino: My long-term goals center around building relationships, that we continue to improve relationships with the community. And I think we already have a very good relationship with the community, but I think we always need to move forward. To build relationships with other service providers and other entities that work in Park Forest, to work with them towards a common goal. My goals include – I’d like to bring a K9 unit back to Park Forest Police Department. eNews Park Forest: We lost that. Police Chief Mannino: Yes, K9 Toby retired in June, and the program basically started that one. I’d like to make sure that we’re at the forefront of technology as much as budgeting restraints allow. And that we continue to have a very motivated and a diverse workforce that is extremely community oriented. Again, I think we’ve already taken great strides in meeting these things, but it’s always keeping that momentum moving forward in that direction, and making sure that our processes are procedurally just. That is a big passion of mine, and everyone feels treated fairly in Park Forest. eNews Park Forest: So, those are some of the real big issues that have been out there for some time now, [raised by] Colin Kaepernik, the idea that law enforcement is treating everybody with the same respect. What are we doing different? Police Chief Mannino: Some of that comes through training. We’ve had procedural justice training. I think it’s pretty much at the forefront of that topic. We do advanced leadership workshops with our commanders and our sergeants and this topic is often at the forefront. And part of it is just making sure that we always have a diverse workforce as well. And we’re limited, as you know, The Police and Fire Commission sets who is hired, but in our recruiting efforts, making sure we have a wide pool of applicants. And always making sure that we’re working towards reflecting community in which we serve. But at the end of the day, it comes down to the culture of an organization, and lot of that comes from the top. And again, one of my passions is to make sure that we are procedurally just, that we are treating everyone fairly. And more than just they’re being treated fairly, but they feel that they’re being treated fairly. And I think when we set that tone from the top, it’s a lot easier for our organization to implement those kind of ideals, which are easy to articulate, but sometimes not as easy to see carry out in the real world. Police Chief Mannino: He’s doing good. He’s fighting very hard. He’s in physical training, and he’s making great strides. I have learned that you cannot limit what he is capable of. 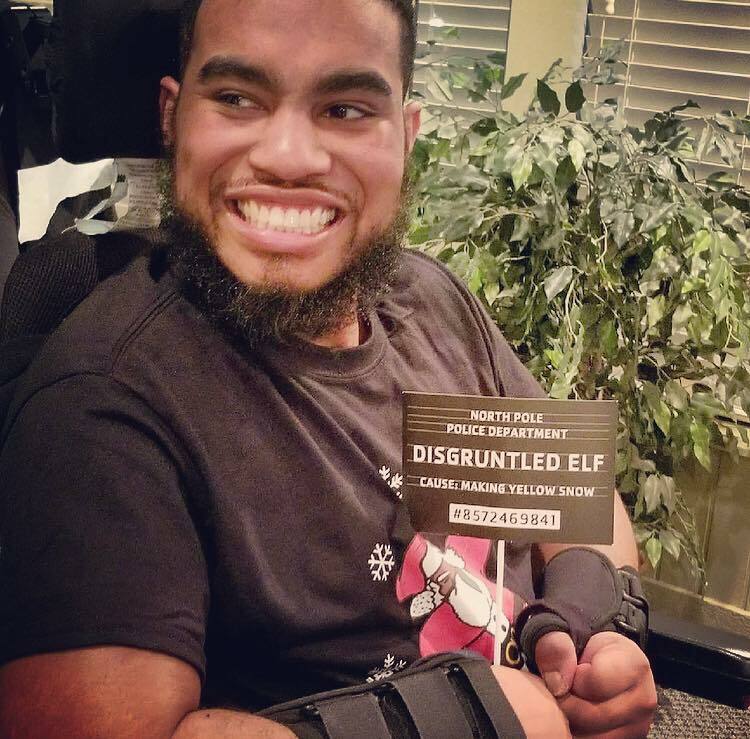 And I suspect that he’s going to continue defy odds and to continue surprising people with what he’s able to accomplish. eNews Park Forest: I mean that still kind of hits seeing his picture in the lobby as officer of the year. I think that still hits the community too. Police Chief Mannino: Sure, and it still hits the department. I don’t know a single person who worked with Tim who doesn’t have a permanent scar from that incident. But that’s nothing compared to what Tim has gone through. And he shown us that he never gives up. eNews Park Forest: Yeah. So, do you still have all the time you need for your family? Police Chief Mannino: [smiles] Well, certainly in this beginning of the transition, my time at home has been somewhat limited. I anticipate that after we bring another deputy chief on board at the beginning of 2018, things may hopefully slow down a little bit. But family is still at the top of my priority list, and always will be. eNews Park Forest: So, staffing-wise, there are only two deputy – or there’s one deputy chief right now. Police Chief Mannino: Right now, correct. We’re short-staffed right now. So, to help with that issue, we delayed a promotion of one deputy chief until January. And in January, we’ll have an officer, who right now is in field training on the street, so it will help fill that void. eNews Park Forest: So, how are we doing in staffing? What would be your goal? What would be the ideal? I know, because let’s imagine there’s no budget. Police Chief Mannino: Yeah, asking a police chief that question, I don’t think there’s a police chief in America who doesn’t want more personnel, because every additional person is much more that we can do. I would say that when we are full staffed, we can accomplish everything we want to. The difficulty in this day and age is getting full staffed. eNews Park Forest: How do you recruit for diversity? It’s important for the community to have people who look like them, people of color, women. Police Chief Mannino: Sure. When it comes to recruitment, one thing we’ve really tried to do a lot more is social media recruitment. We’re able to reach a much wider audience that way, a much more diverse audience that way. There’s a range of stuff. Some of them are long-term goals. For an example, we offer the Timothy John Scholarship, which gives a scholarship for about $1,000, $1,500 to a Rich East student who wants to major in criminal justice. And do I think that just because someone wants a scholarship they’re going to come work for the Park Forest Police Department some day? No, but it’s a small way for us to help promote our students to enter to a criminal justice type career, even if it’s not law enforcement per se. I think that’s just one way for us to demonstrate our commitment to having a diverse workforce. But at the end of the day, recruiting comes down to a lot of personal relationships. I mean encourage our personnel to talk to those that they know, maybe a good fit. Sometimes, there’s people that you may know who we think would be a god fit, and that person hasn’t even considered law enforcement as a career. All it takes is the right person to say, “Hey, have you thought about this, I think you’d be good in this position.” So, a lot of it comes down to personal interaction as well. eNews Park Forest: The two women who disappeared, or the one who – that one still kind of hunts me in the back of my mind. How do these guys deal with – men and women deal with these long-term cases? Police Chief Mannino: Being a detective is probably one of the more challenging roles in the police department. There’s a lot of stressors that come it. You see a lot of – well, whatever happens to the community, detective see the worst of it, whether it’s crimes against children, crimes against women, or just general violent crime in general. So, it’s not an easy position to begin with. Regarding the two cases you mentioned, they’re still very active cases. There’s still work being done on them. If not daily, certainly weekly. So, they’re not something we’ve forgotten about or we’d ever forget about. eNews Park Forest: And you do have a strong outreach on social media, there seems to be a lot of communication. It’s been a good way to reach, get the word out, all kinds of things. Are you still kind of behind the scenes there? Police Chief Mannino: I’m still involved at this point. My goal is to put together a social media team to assist with that, because I simply don’t have the time to be maintaining it as I did in the past, so we definitely will have some different input, some different ways coming from social media pretty soon. eNews Park Forest: Instantaneous response almost, but wasn’t there – was impossible years ago. Police Chief Mannino: And just the reach, I mean you could get for a good neighborhood meeting 75 to 100 people, but you can put a post up, and reach a couple of thousand, if not more. Not everyone has a time to come up to a meeting. So, it’s a great way to shoot information, but again, it can never replace face-to-face relationships. eNews Park Forest: Well, any final thoughts? Police Chief Mannino: I would just say that we have a very professional police department. One thing that makes it very easy for me is taking over a department that was already going in the right direction. I don’t have to turn the ship around or anything like that. We have an incredible group of men and women, who are very dedicated to public service. 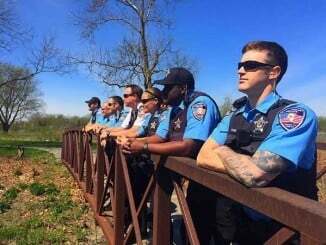 And I just consider myself lucky to be in the role I am working with them to keep Park Forest safe. Police Chief Mannino: Thank you. Please report grammar or spelling errors to [email protected] Thanks to Tim Colburn for his corrections.